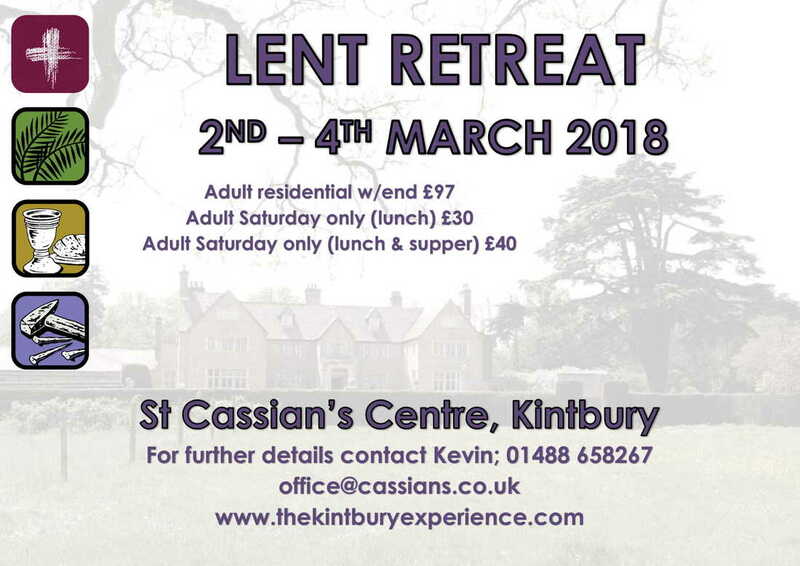 The Kintbury Experience offers Lent Retreat for Adults who would like to come on retreat either by themselves or in groups. a short introductory meeting, scheduled a soon as possible after 8.00 pm, followed by Night Prayer and social time. Programme content on the Saturday will usually consist of talks from guest speakers, small group work, reflection time and an Lent prayer service. The retreat ends with Mass on Sunday followed by lunch. The Cost for the Weekend: £97. The cost of a retreat is reviewed annually.